The Beverly Ho-Billies are back, b*tches! 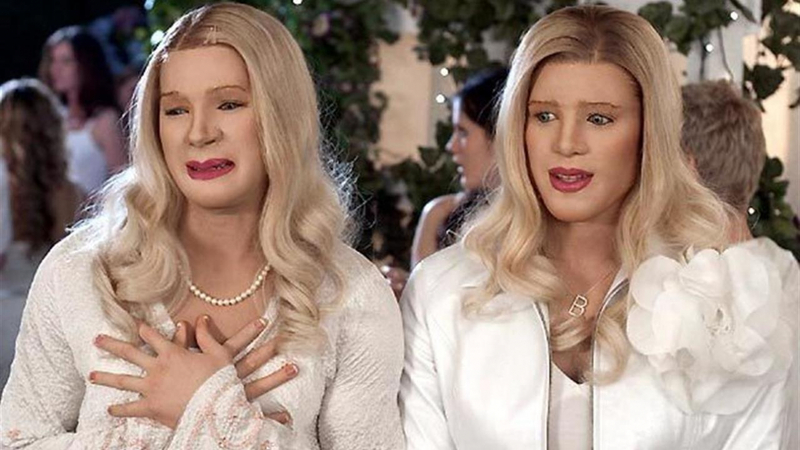 Marlon Wayans has confirmed he and his co-creators are in talks for a White Chicks sequel, much to the joy of the film’s cult following. Is White Chicks 2 happening anytime soon? I don’t know. But there’s been a lot of rumblings happening. A lot of people want us to do it. So me and my brothers have been talking. So if things go right, we hope to do a White Chicks 2. What to say about White Chicks? It’s the transracial comedy romp nominated for more bad awards than good. Marlon Wayans and his brothers, Shawn and Keenan Ivory Wayans, were all nominated for a BET award for Outstanding Writing for a Box Office Movie upon its release in 2004. It was also nominated for five Razzies in 2005, two Stinkers, as well as the Teen Choice Awards’ Choice Movie of the Summer. The narrative follows two disgraced FBI agents go way undercover in an effort to protect hotel heiresses the Wilson Sisters from a kidnapping plot, with humour some describe as ‘silly’ and ‘obvious’. The film was loved by some and challenged by many. All we can say for certain is the script was certainly of its time. With a Rotten Tomatoes critic’s average of 3.7 out of 10 but an audience rating of 55 per cent, the jury is still out. Meanwhile, some are worried the prospective sequel will the latest in a string of desperate attempts at nostalgia in the film industry. No, please don’t. There’s too much creative within their family to warrant a sequel over something fresh. That brand of humor doesn’t work in 2018 and given the track record of every comedy sequel, it’s very difficult to top the original. After so many years? Idk man, it might be trash at this point if not, I’ll eat my words. If the main characters are willing to do it and the first movie made great ratings, there’s definitely a high chance for this to happen. I really hope they do. The first instalment was released over a decade ago, in 2004. Maybe we’ll see if the undercover cop concept still has legs in the current climate. Whether or not Terry Crews will make an appearance lip-syncing Vanessa Carlton’s A Thousand Miles is unclear.